In the Church’s history, there have been occasions when local synods of bishops have made honest mistakes. One sees this again and again in the Lives of the Saints and in the chronicles of the Church councils. For example, in the Minutes of the Councils (Mansi 9, 568E), it is recorded that "many times things are said during the Councils, either in defense [of the Church’s teaching], or in opposition, or in ignorance . By way of example, the Synod of Jerusalem in A. D. 415 acquitted the heresiarch Pelagius, who had been condemned in A. D. 411 by the Council of Chalcedon. Furthermore, the Council of Orange in A. D. 529 declared the teaching of St. John Cassian (whom St. Benedict of Nursia and all the Fathers of the East esteemed highly) heretical! 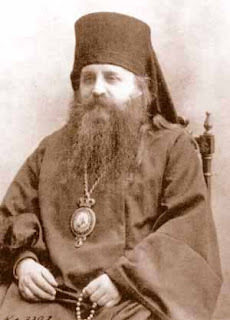 A professor of theology, V. I. Exemlyarskii, wrote, "If a theological opinion, or even a local council, is at variance with the word of the Lord [or the writings of universally acknowledged Church Fathers, or the resolutions of acknowledged Church Councils], then such an erroneous ecclesiastical teaching should be subject to condemnation." And if we have read the Life of St. John Chrysostom, how can we forget that he had been condemned and anathematized by a Church Council, and that he was ultimately banished to the outer limits of the Roman Empire?! Also, in the time of St. Gregory the Great, Pope of Rome (540-604), an African council, in an ill-considered decision, offered the title "Universal Bishop" to the bishops of Rome, thinking, as they sup-posed, that they would thereby honor the holy Apostle Peter. And what was the response of Pope St. Gregory the Great? He refused this unfitting title! The Saint explained that he refused this title "lest, by confer-ring a special status upon one [bishop] alone, all [the others] might be deprived of the honor which is their due." So much for Rome’s present day claims of universal jurisdiction! Do you know that a Church Council promoted the use of indulgences — a Roman Catholic practice tied to the heretical teaching concerning Purgatory?? The authority to remit sins, which if they are given out in writing, the Eastern Church of Christ calls "certificates of absolution" (synchorochártia) and the Latins call Indulgences, are given by Christ in the Holy Church. These certificates are given out [i.e. sold]** in the whole Catholic Church by the four patriarchs: of Constantinople, of Alexandria, of Antioch, and of Jerusalem. To say that only the Pope of Rome has the right to give out indulgences is a blatant lie! Certainly, indulgences are as good a Latinism as you’ll find anywhere — including the "Trinity" icon! From an "official" point of view, the resolutions of this Council have never been rescinded. That is why the words of the Russian professor Exemlyarskii (see above) come to mind. For our own instruction, it is good to be aware of these "honest mistakes" committed in ignorance by Church councils. This is yet one more piece of information that we learn from the Lives of the Saints. This brings to mind another type of "synod": the Russian "Synod" after the time of Czar Peter the Great up until the time of the restoration of the Patriarchate in Russia in the early part of the 20th century. The "synod" established by Peter the Great was not a council or synod as we understand it, that is, in the sense of an ecumenical synod or a local council, as, for example, the Local Council of Carthage. Instead, in Russia, the "Holy Synod" was an administrative body of eleven bishops hand-picked by the Czar and over-seen by an "oberprocurator" who was a lay-person (a government official) who, in some instances, was not even an Orthodox Christian, but, sometimes, a Lutheran! Hence, on one occasion, the "Russian Synod" even passed a resolution that it was permitted for Orthodox Christians to receive "holy communion" from the Lutherans! Metropolitan Antony Khrapovitsky protested this violation. Thus, in reality, the Russian Synod at that time was something more akin to a government Department of Religious Affairs, and not a canonical Council of Bishops. A proper Council of Bishops had not been convened in Russia for over 200 years. Many decades ago, we often met with Roman Catholic clergy at an ecumenical seminar. Whenever they would begin to argue in favor of papal infallibility, we would respond: "Every Orthodox bishop is infallible — until he makes a mistake!" And that’s still the way it is. What is truly marvelous is that the Church has always had the divine illumination of the Saints to guide her in overcoming these human errors. "We follow in the footsteps of the Holy Fathers." * See my previous article, "Our Fathers in Heaven. ** Metropolitan Ephraim’s Note: This aspect of the "giving out" of Indulgences is not mentioned in the Synodal resolution. 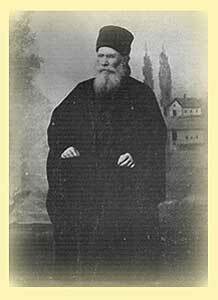 From Metropolitan Ephraim’s emailed file, "The Orthodox Veneration of the Name of God"
The following selection of passages is intended to show that the Holy Scriptures, the Holy Fathers and the Divine Services of the Church teach us that the Name of God (its inner significance and meaning and not its outward letters and sounds) is the divinely-revealed Truth about God Himself; just like all revelation of God about Himself, it is His uncreated operation, His power, His energy, His grace. According to the teaching of the Church, the Grace of God is God Himself (not His Essence, but His Energy). Hence, it is in this sense that St. John of Kronstadt’s famous saying "The Name of God is God Himself" should be understood, for it is in perfect harmony with the teaching of the Church.